Exp359. 18th Oct. 20:00pm. Le JOIDES Resolution prêt à appareiller pour le 1er site de forage. You might ask how a George Mason University graduate student would get involved with a program such as this. It all started last year when I attended an IODP open house in Washington DC. It was there that I met with several staff scientists from recent JOIDES Resolution (JR) expedition and they encouraged me to apply to sail. The scientists described their work onboard the JR and outlined what life what life was like conducting research on a ship at sea. I continued my networking at the IOPD exhibit booth when I attended the 2014 Geological Society of America annual meeting in Vancouver Canada. This is when I decided to apply sail on Expedition 359 and after completing the application process I waited anxiously for several weeks. I was excited to learn of my acceptance to the sail on the JR! While being excited about the expedition and grateful to be accepted into the program, I began to wonder how to best prepare for a trip such as this. Wondering what if would be like to conduct research at sea for 2 straight months. How do you pack for 2 months with no resupply available? What would it be like living and working onboard a ship for 60 days with the same 125 people? What kind of research facilities and lab space would I be working with onboard? A short three-day cruise to Cancun does not really prepare you for this type of adventure! To begin preparations for the expedition I started doing research on previous IODP cruises. I also studied the pre-expedition materials send to by IODP leadership. I received great advice from IODP scientist who sailed in the past and found some very informative YouTube videos online. 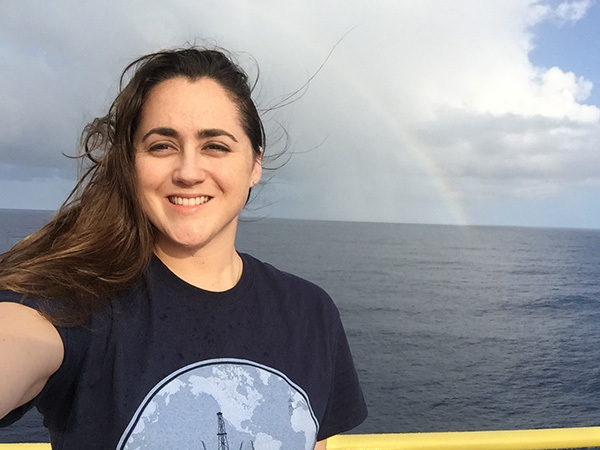 Loren Petruny is sailing on expedition 359 as a benthic forminifera paleontologist.